In the context of my previous calculations of gasoline requirements for burning corpses at the extermination camps (table 8.4 on p. 486 of the critique), I referred to the cremation of corpses on the Dresden Altmarkt, in which the main combustion fuel was gasoline. The Dresden pyres, as we have seen already, pose a big problem for Mattogno, and his utterances in this respect are accordingly incoherent and even counterproductive. After concluding on the wrong grounds that gasoline is "not the best method to perform cremations", Mattogno accuses me (p. 1411) of not having taken into consideration an "essential factor" regarding the Dreden cremations. The supposed "essential factor" is that the victims of Dresden "had died mostly by having been burned alive in the "firestorm" caused by incendiary bombs" (which is wrong – most victims died through suffocation and only in a small number of cases were bodies so mutilated or burnt that the exact number could not be ascertained) . Mattogno then quotes an excerpt from the Final Report of the Historian’s Commission about the Air Attacks on Dresden between 13 and 15 February 1945 whereby "the commission excludes that a larger number of people – that is some thousands or even tens of thousands – could have vanished virtually ‘without a trace’". As this conclusion of the historian’s commission was one of its arguments against exaggerated death toll claims regarding Dresden, which are largely proclaimed by right-wing extremists, and as the commission concluded (p. 67 of the report) that up to 25,000 people ("bis zu 25.000 Menschen") were killed in the air attacks on Dresden between 13 and 15 February 1945, this quote may have got Mattogno into trouble with his co-author Jürgen Graf, who proclaims a death toll ten times higher than the maximum death toll concluded on by the historians’ commission. Assuming, that is, that Graf believes his own BS and is not just paying lip service to six-digit Dresden death toll figures to please his fans of the extreme right. It is not clear why Mattogno brings up the commission’s conclusion whereby a large number of victims could not have vanished without a trace. His conclusion ("This fact further complicates the general situation, because charred corpses burn with more difficulty than fresh ones, but dried corpses more easily.") suggests an argument that the Dresden corpses (which he claims were charred) burned worse than the corpses on the extermination camps’ pyres. And Mattogno’s statement that dried corpses burn "more easily" than fresh ones stands in stark contrast with the nonsensical postulate on p. 1386, discussed in Section 3 of this Part 2, that the burning of a desiccated corpse weighing 17.14 kg, with a heating value per weight unit of 5,339.08 kcal/kg due to the absence of water, requires the same amount of wood as a fresh corpse weighing 60 kg, with all its water inside and a heating value per weight unit of only 1,525.16 kcal/kg. This suggests that Mattogno isn’t all too convinced himself by the calculations he throws around. Muehlenkamp is in full delirium. As I explained many times, he is alienated from reality (a form of exterminationist schizophrenia) and does not differentiate between the possible and the real: for him (and when it is more convenient) what is possible is also real! The equivalent gasoline amount, already huge in spite of his ridiculously low demand of wood, becomes absurd if one considers the real amount (see point 91): 185,694,640 kg of wood only for the camps of Bełżec, Sobibór and Treblinka, corresponding to (185,694,640 × 1.9 =) 352,819,810 kg of fresh wood, which then equates to (352,819,810 ÷ 100 × 19 =) 67,035,763 liters of gasoline! 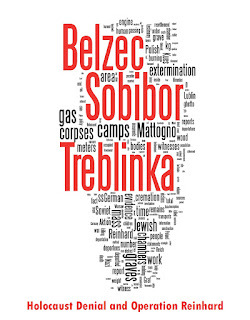 For Treblinka the requirement would have been of [(105,707,640 × 1.9 ÷ 100 × 19) ÷ 150 =] 254,403 liters per day! These figures stand in sharp contrast with Mattogno’s arguing a mere three pages later, in a passage already quoted in Part 2, Section 1 of this series ("Another inane (mis)demonstration. […]Hence this comparison is useless"), that the amount of gasoline I had calculated as necessary for burning 6,865 corpses on the Dresden Altmarkt (ca. 68,000 liters) is too high. How can 68,004 liters of gasoline for 6,865 corpses at Dresden (ca. 9.9 liters per corpse)  be considered too high by Mattogno when at the same time he considers 38,160,458 liters for 789,000 corpses at Treblinka (ca. 48.4 liters per corpse) to be appropriate, moreover after he has repeatedly stated that the cremation methods applied at one or the other place were equivalent? The obvious answer is that Mattogno doesn’t believe in his astronomic fuel requirement numbers but knows them to be widely exaggerated. Before I turn to Mattogno’s musings about the fuel situation in Germany, I’ll address his arguments regarding the contribution of the camps’ own lumbering detachments to providing the fuel required for burning the corpses. What I wrote about the possible production of the Treblinka Waldkommando must have thrown Mattogno into another of his fits of hysteria, for in his point 62 starting on p. 1408 he not only dishes up ad hominem rhetoric rather thickly ("Childishness and hypocrisy emanate also in the case of Treblinka") but also calls me names ("In his desperation, miserable Muehlenkamp uses every possible subterfuge. "), thereby again signaling that he has long given up being taken seriously outside the circle of his fellow "Revisionist" believers. Mattogno takes issue with two aspects of my considerations in this respect: the strength of the Waldkommando and the duration of cremations at Treblinka. The camouflage unit is the only one of the old work squads that still has enough real work to do. There is so much exterior and interior fencing that there are always repairs to be made. And if there are no repairs, then the camouflage unit is well suited for the forestry work in the vicinity of the camp – for clearing and cutting. Several times a day, under the supervision of the guards and little Sydow, some part of the twenty-five men unit has to go out into the forest, climb into the trees, harvest large branches, and carry them back into the camp, where they will be used for repairs. The other part of the unit straightens and firms up the posts, tightens the barbed wire, and weaves the new pine boughs into the fence until there are no longer any gaps in the dense green wall. We know how to carry our two or three straps in such a way that everyone immediately understands: We are the camouflage unit. In the forest we bundle the pine boughs we have harvested and then strap them to our backs. As becomes obvious from the above, Glazar was referring not to the Waldkommando, the lumbering detachment in charge of procuring wood for cremation, but to the camouflage unit, whose job was to make sure that the camp’s outside and inside fences were always adequately camouflaged with green foliage from pine boughs woven into the fence. As concerns lumbering work, Glazar had written earlier that this was done by "those of us from Barracks A", along with "other commando units who had previously worked at the sorting site". This suggests a labor force well in excess of 25, so my assumption that there may have been 60-80 woodcutters seems reasonable. As concerns the time during which the bodies were cremated, I had considered a period that lasted "at least from March or April to August 1943, but probably until the end of October 1943, i.e. 5 to 7 months". Mattogno trumpets that this assumption is disproved "sensationally" by Arad’s statement that "In this camp the entire cremation operation lasted about four months, from April to the end of July 1943". However, Arad’s statements in this respect are not uniform, as I demonstrated in a blog linked to in note 172 on p. 485 of the critique. Mattogno obviously didn’t bother to read this article – or, for that matter, the statements of Arad quoted therein. What is more, cremation of the bodies at Treblinka started well before April or even March 1943, as mentioned in Part 1 of this series, where I mentioned three phases of cremation at Treblinka that I consider probable, and concluded that the probable start date of the 3rd phase, in which the corpses were systematically removed from the mass graves with excavators and burned on pyres made of concrete bases and railway rails, started in late February 1943, probably earlier as Chil Rachjman dated the arrival of a cremation specialist nicknamed the "Artist" by the inmates to January 1943. If the 3rd phase started in late February and lasted until late August August 1943 (the last deportees from the Bialystok ghetto arrived between 17 and 23 August 1943, so cremation of corpses cannot have ended before that), it would have lasted for 6 months. If the 3rd phase started in early February 1943, as seems plausible considering Rachjman’s timing of the "Artist"’s arrival, the period would be closer to 7 months, even without considering the aforementioned possibility that cremation continued beyond August 1943. Assuming a period of 7 months and a strength of 60-80 for the Waldkommando, men, the production would have been 6,930 to 9,240 tons of wood, which would correspond to between 31.2% and 41.6% of the fresh wood requirements stated in Table 2.30.In addition there would be a huge but unquantifiable amount of brushwood that would have piled up throughout the camp’s operation due to the constant renewal of the fence’s camouflage foliage as it dried out. The balance in relation to total cremation fuel requirements would have to be provided by wood from external suppliers, rags and liquid fuels. Note that these calculations assume that the corpses of all deportees murdered at Treblinka were cremated during the aforementioned 3rd phase. As we shall see below, this was not the case. Now back to the question whether Nazi Germany could afford to allocate large amounts of liquid flammables to the burning of murdered deportees at extermination camps. 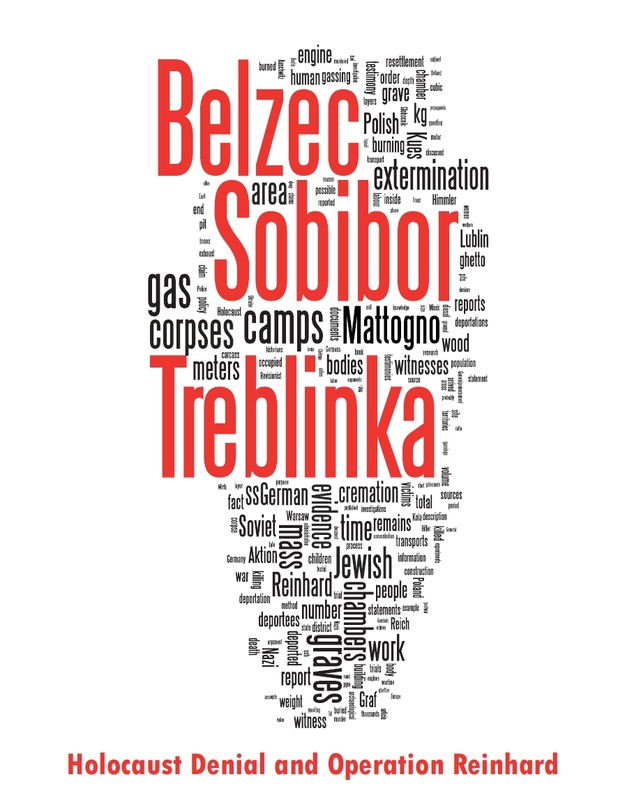 ii) The terminology that Globocnik used (Treibstoff) explicitly refers to engine fuels, from which the gas chambers operated, it being also possible that the fuel was required for excavating work on mass graves and possibly also cremations, which began at Sobibor shortly after the time of this letter, especially with reports of corpse incinerations in August which are available from Bełżec and Treblinka. In my reading of this document, I emphasized the need of engine fuels for cremation. Mattogno’s first argument is that, as the message was addressed to a member of Himmler’s personal staff, my interpretation would imply that "Himmler, who was the direct superior of Globocnik, either did not know anything about the alleged decision to cremate the corpses, a rather implausible fact because the decision was his, or he knew it but nonetheless authorized the reduction of fuel, and then either he wanted to willingly interfere with the activities of his subordinate, another implausible fact, or he knew that the fuel was not needed at all for future cremations" Either of Mattogno’s scenarios doesn’t make much sense, the first ("either did not know anything about the alleged decision to cremate the corpses") because the decision to cremate corpses at Sobibór for hygienic reasons need not have emanated from Himmler but may well have been an initiative of the camp’s commandant that the same had informed Globocnik of, the second ("he knew it but nonetheless authorized the reduction of fuel") because the reason why fuel allotments had been reduced in August 1942 was not a decision of Himmler’s but in all probability the need of large amounts of fuel for the 1942 summer offensive in the Soviet Union, which ranked higher on the list of Hitler’s priorities than Himmler’s extermination program and to which Himmler therefore had to bow. So what was being asked of Himmler via Grothman was that he should exercise his influence with the Führer in the sense of obtaining more fuel for "Einsatz ‘Reinhard" despite the priority of military operations at the time. Mattogno’s next argument is that the letter’s text invalidates my supposition because "Globocnik gives as the reason for the need of a higher fuel supply not a “cryptonym” allegedly created for cremations, for instance “Sonderaufgaben” (special tasks) or something similar, but the impending arrival of “big contingents from abroad [grosse Auslandslieferungen],” ". This is also a weak argument because Globocnik obviously needed more fuel to handle "big contingents from abroad", which may have been planned deportations from Romania as Jason Myers presumed, rather than deportations to Sobibór from Slovakia, the Protectorate Bohemia and Moravia and the Reich, which had arrived already in June 1942. Wherever these "big contingents from abroad" were supposed to come from, the question is what about their handling could have required large amounts of fuel, if the handling was limited to taking them off the trains, dispossessing them of their valuables, showering and delousing them and putting them back on the trains again, as per Mattogno’s "transit camp" fantasy. Mattogno thinks he found a faith-conforming answer in Grothmann’s reply to Globocnik, quoted on p. 881 of the magnum opus, in which Grothmann transmitted Himmler’s suggestion that Globocnik should "try under any circumstances to transport the valuables from the Jewish resettlement to Berlin not by motor vehicles but in freight cars under guard". However, this was obviously seen as a means of improving the fuel situation but not as a solution to the problem, for Grothmann ended announcing that he had "nonetheless once again inquired with SS-Gruppenführer Jüttner whether he can somehow supply you with additional fuel". If, as Mattogno is eager to conclude, "the fuel requested for the “Aktion Reinhardt” was for shipping the goods robbed from the Jews via trucks to Berlin", the problem would have been solved by using trains instead of trucks, and no further inquiry would have been necessary. c) The documented assignments of fuel to the Military Commander in Chief in France, which were considerably reduced between the 3rd quarter of 1941 and the 3rd quarter of 1942, and again between that time and the 3rd quarter of 1943. What is all this supposed to mean in the context of my argument? Not much, as I didn’t argue that Nazi Germany’s fuel situation was particularly bright in mid-1942 and no efforts at saving had to be made. My argument was that at that time Nazi Germany had sufficient fuel to feed its essential projects, which were the war effort and another state project considered equal in importance to the war effort if not part of the same, the extermination of a minority of perceived dangerous subversives and useless eaters harmful to Germany. Gasoline requirements for burning corpses at the extermination camps, even it that had been done with gasoline alone (which it was not – wood, rags and other liquid flammables were also used), would have been comparatively trifling: the daily requirements of Treblinka, even according to the updated calculations in Table 2.31, would have been lower (28,163 vs. 33,000 liters) than the daily gasoline consumption of a single armored division. And whatever difficulties in fuel supply Nazi Germany may have had in mid-1942, they were nothing compared to the difficulties they were facing in February 1945, when the Reich had lost almost all of its external petrol resources (the oilfields in Romania and Hungary) and its war machine was bogging down for lack of fuel. Yet in that very month the Nazi government did not consider it wasteful to spend ca. 68,004 liters of gasoline (according to my earlier calculations) or 81,361 liters of gasoline (according to my current calculations)  on municipal sanitation purposes, to burn the corpses of 6,865 victims of the Dresden air raids. This brute fact renders moot all of Mattogno’s considerations about Nazi Germany’s fuel problems in 1942, leaving him no alternative but to dispute as too high even the lower of the amounts I calculated for Dresden. Yet by doing that, as explained above, Mattogno unwittingly reveals that he considers the astronomic fuel amounts he postulates for the extermination camps to be widely exaggerated – or in other words, that he doesn’t believe his own BS. Obviously uncomfortable with the notion that high amounts of liquid fuel were used in burning the corpses at the extermination camps, Mattogno quotes a slab from MGK’s Sobibór book in which he had referred to survivor witness Thomas Blatt’s assertion that "the pyre, sometimes more than three yards high, was then doused with kerosene and ignited", as supposedly showing that liquid combustible was used only for the ignition of the pyres. Yet the quoted statement says nothing about the amount of liquid fuel employed or the proportions of liquid versus solid fuel, which for all we know may have been like on the Dresden Altmarkt pyres. Regarding Mattogno’s argument about volatility as a disadvantage of using gasoline for cremation, I had remarked that if this was a problem at the extermination camps, it would also have been a problem at the Dresden Altmarkt, where it doesn’t seem to have hindered the cremation of the corpses. Mattogno sees a difference in that "for the corpses of Dresden the hazard of explosion was reduced, since the gasoline impregnated also the clothing". A demonstration that this would have been so is not provided, and if impregnation in clothing reduced the hazard of explosion at Dresden, so did impregnation in the rags reportedly used to burn the corpses at Treblinka. Moreover, whereas at Dresden only gasoline seems to have been used, evidence indicates that at the extermination camps also less volatile liquid fuel was employed. That said, I could move on to the next part of this series, regarding the duration of cremations. Before I do that, however, I would like to deal with Mattogno’s arguments regarding fuel requirements in points 74, 75 and 91 of chapter 12. According to a document from the British Environment Agency (EA) referred to in MGK’s Sobibór book, a typical pyre for 300 cows at the time of the British Foot & Mouth Disease Crisis in 2001 included 175 tons of coal, 380 railway sleepers, 250 pallets, four tons of straw and 2,250 liters of diesel. The wood equivalent of these various types of fuel, according to my related assumptions, would be as shown in Table 2.32 below. Assuming an average weight of 500 kg per cow and 150,000 kg of carcass mass in total, the wood weight to carcass weight ratio would be 2.15:1. Table 2.32 – Fuel requirements for a typical carcass pyre according to Environment Agency North West Region Area, "Extracts from Submission to Cumbria County Council’s Inquiry into the Foot and Mouth Crisis"
A wood weight to carcass weight ratio in the order of 2:1 doesn’t suit Mattogno, who has promised (p. 1397) to demonstrate, "based on experimental data", that ratios achievable in individual cremation cannot be achieved in mass cremation. Accordingly he tries to push up the ratio. In my calculations based on the calorific value of each substance, 1 kg of coal is the equivalent of ca. 1.48 kg of wood, which Mattogno (p. 1424) calls "a false but convenient value". After some unnecessary and mistaken speculation about my sources, Mattogno argues that the "official source" he "quoted in the point 51" establishes "as a practical criterion a relationship between wood and coal of 3:1, that is 3 kg of wood equal 1 kg of coal". Actually the "official" source in question states no such relationship, which Mattogno simply infers from the information that "The approximate quantities of fuel that will be needed are 100 pounds of straw, 2½ gallons of accelerant and 2 tons of wood or ½ ton of wood and ½ ton of coal.". Notwithstanding this inference, Mattogno uses a coal to wood ratio of 2:1, which would bring the wood weight to carcass weight ratio in Table 2.32 to 2.76:1 (Mattogno claims 2.82:1). Either ratio would make the typical FMD pyre described by the EA look rather fuel-inefficient, judging by the Ausvetplan’s statement that in multiple cremations experience has shown that "the amount of timber can be reduced to around 1.0 tonne per adult bovine" weighing 500 kg, a ratio of 2:1. But Mattogno doesn’t care about that, nor about the other sources I listed above, whereby wood-to-carcass ratios between 2:1 and 1:1 have been achieved in mass cremation of carcasses. Having found one source seemingly supporting his counterintuitive claim (which runs contrary to what experience has shown according to the Ausvetplan) that in mass cremation wood to carcass ratios are higher than in individual cremation, Mattogno quickly promotes the EA’s information to the category of "experimental data", as if "the specialists of the British Environment Agency" had reported on the results of experiments they had made to see how much fuel was required for mass cremation of carcasses during the Foot and Mouth Disease in the UK, and such experiments were proof that in mass cremations the wood to carcass ratio is "more than five times higher" than in the cremations of single carcasses performed by Lothes & Profé. "Bones remained almost untouched though they were in fire. They were gathered and put on a special ground lain with granite plates. A special team was crushing those bones into small pieces with special mortars." If we believe judge Łukaszkiewicz (see point 17), in 1945 the area of the Treblinka camp was full "with cremation remains as well as skulls, bones and other parts of human bodies covering an area of at least 1.8 hectares." With Muehlenkamp’s stupid comment – "this shows that the results of the exhumation, burning and crushing procedure were not nearly as complete as certain descriptions suggest.” (p. 449) – and with his explicit admission that "the result of the cremation process was not complete combustion of all bodies" (see point 16), he confirms that the amount of ashes and non-combustible substances should have been much higher that the theoretical. It was much higher, and I can live with that, as we shall see. But Mattogno, who likes to call his opponents’ intelligence into question, has with this comment unwittingly struck the final nail in the coffin of his arguments regarding fuel requirements, for incomplete cremation means that I’m spot-on in applying Lothes & Profé’s ratios to the extermination camps while he’s comparing apples with oranges when arguing that ratios from FMD carcass cremation in the UK should be applied. - The corpses of my former category "A" (decomposed normally fed deportees weighing 28.88 kg) are supposed to have required more wood (163 vs. 160 kg, ratio 5.64:1 vs. 2.82:1) than the corpses of normally fed un-decomposed deportees (category "D"), even though they have roughly half the mass and their heating value per weight unit is higher (2,579.67 vs. 1,525.16 kcal/kg, see Tables 8.14 and 8.15 on p. 478 of the critique). - The corpses of my former category "C" (un-decomposed underfed deportees), whose cremation I considered to be the most fuel-intensive of all categories (ratio 0.87:1, vs. 0.62:1 for category "B", 0.56:1 for category "D" and 0.29:1 for category "A", see Tables 8.11 on p. 476, 8.13 on p. 477 and 8.14/8.15 on p. 478 of the critique as well as the list of categories on the same page), don’t require much more wood (139 vs. 136 kg) and have a more favorable wood weight to corpse weight ratio (4.08 vs. 8.01) than the corpses of my former category "B" (decomposed underfed deportees), even though the former have about twice the mass (34 vs.16.96 kg) and a much lower heating value per weight unit (330.98 vs. 1,287.82 kcal/kg) than the latter. One cannot take this nonsense seriously, and as we have seen, Mattogno doesn’t take it seriously himself. For when it comes to the cremation of air raid victims on the Dresden Altmarkt, an amount of gasoline that I calculated on the basis of the 0.56:1 wood weight to corpse weight ratio (average of Lothes & Profé’s experiments I to III without considering the tar or resin used as accelerant, see Table 2.3) is protested as too high by the very same gentleman who claims these exorbitant amounts of wood for the burning of extermination camp victims. Mattogno is obviously trying to take his readers for a ride, certain that an audience of uncritical fellow "Revisionists" will gladly accept the offer. Mattogno quotes from an article by John D. DeHaan ("Fires and Bodies" in: Christopher W. Schmidt, Steven A. Symes (eds. ), The Analysis of Burned Human Remains p. 12) an account of the author’s experience in which "a woman was doused with a gallon of gasoline and set alight while dressed in a shirt, denim pants and cotton socks, lying on a sandy soil surface". The woman "died from shock but her skin was nearly intact, penetrated to any degree only at her ankles where the cotton socks, secured by a leather belt, absorbed enough gasoline to continue to burn for some minutes". While this shows that gasoline does not do much damage to the human body is someone lying on the ground is doused with gasoline and set on fire, it says nothing about the effect that gasoline would have as a combustion agent if a corpse lies on a grate removed from the ground and gasoline is poured on both the body and on solid flammables lying below the grate. See the judgment at the Irving-Lipstadt trial, section 5.2 (d) (vii) - "Further misuse of figures: refugees, burials, and excavations" ([link]). Abschlussbericht der Historikerkommission zu den Luftangriffen auf Dresden zwischen dem 13. und 15.Februar 1945, online under [link]. See the blog "Mattogno on Chełmno Cremation (Part 2)" [link]. According to the current assumptions the amount would be higher: (6,865 x 49 =) 336,385 kg of corpse mass, (336,385 x 0.67 =) 225,378 kg of dry wood, equivalent to (225,378 x 1.9 =) 428,218 kg of fresh wood, equivalent to (428,218 ÷ 100 x 19 =) 81,361 liters of gasoline. This is assuming a wood feller’s daily production of 0.55 tons per day. In his "Conclusions on the “Aktion Reinhardt” Camps" Mattogno presented a contemporary source (p. 1471) suggesting an output of 1.35 tons per day. At this rate Sobibór’s wood fellers could produce at least (30 x 1.35 =) 40.5 tons of fresh wood per day, rendering the camp more than self-sufficient as concerns wood supply. Belzec, Sobibor Treblinka, p. 170. Trap with a Green Fence, pp. 127-28. See note 201 and related quote. Belzec, Sobibor Treblinka, p. 177. "If they did it the simple way, they didn’t do it!" ([link]). Sara Berger, Experten der Vernichtung, p. 431. If a wood feller’s daily output was 1.35 t (see note 218), the production would rise to between 17,010 and 22,680 tons of wood, corresponding to 76.5% or 102% of the camp’s requirements. Sara Berger, Experten der Vernichtung, pp. 422-23. A regiment of the 21st Panzer Division in Africa consumed 4,400 liters of petrol per day of combat in 1941; the daily consumption of the entire division was 33,000 liters (Pier Paolo Battistelli, Rommel's Afrika Korps: Tobruk to El Alamein, Botley: Osprey, pp.56-57). Mattogno’s co-author Graf insist that the number burned on the Altmarkt was 10 times higher, which would raise the fuel requirements, according to my current calculations, to 813,610 liters of gasoline. Environment Agency North West Region Area, "Extracts from Submission to Cumbria County Council’s Inquiry into the Foot and Mouth Crisis". (http://cmis.carlisle.gov.uk/CMISWebPublic/Binary.ashx?Document=6837 – no longer active), section 5.2.4 on page 13, quoted in MGK, Sobibór, p.135 n.394. Critique, notes 237 on p. 506 and 239 on p. 507; "Carlo Mattogno on Belzec Archaeological Research - Part 4 (2)" ([link]). Mattogno obviously failed to look up the critique’s notes and the article mentioned in the note above, or then he did and is arguing against better knowledge. An online article about "Anthrax" ([link]). According to another source (European Nuclear Society, "Coal equivalent" - [link]), 1 kg of firewood is the equivalent o 0.57 kg of coal. "As it was easily foreseeable for reasons explained above, this coefficient is higher than the one of the Mokshda apparatus: (2.14)", Mattogno triumphantly proclaims. • Release body fluids. disinfectants and eitcess liquid fuel into the ground immediately before burning. ln some areas where additional groundwater protection was required a number of pyre pits were lined to contain these. • Ernit particles (including PM10), sulphur dioi-tide. nitrogen dioxide and other products of combustion such M dioxins or poly-aromatic hydrocarbons (PAHs). • Leave 15 tonnes of carcass ash and 45 tonnes of other ash to be disposed of. • Contaminate air and water from other waste burnt on the pyres." "encyclopedic knowledge of cremation". It looks like Mattogno has an encyclopedic knowledge of the palm of his hand, maybe. Now, it is interesting that Mattogno actually admits that cremations according to witnesses started in the fall of 1942 in his Monograph: Treblinka: Extermination Camp or Transit Camp. By official histography, I think it is possible that he was referring to Arad's claims about this. In other words, he made the assumption that Arad's book was the official cannon of histography. Therefore that waffling about Cymlich's account suddenly becomes irrelevant as he himself admitted to cremations starting in 1942 and dare I say actually probably agrees about the possibility of several phases of cremation occurring as you stated. His main waffling was about the possibilities of those cremation occurring in the first place, which is a different matter altogether.